This annual series of Computing Colloquies are designed to help campus researchers identify and make the most of the diverse array of campus computing resources available at Syracuse University. All faculty, students, and staff conducting, planning, or supporting research activities at Syracuse University are invited to the sessions. Daniel Acuna, assistant professor in the School of Information Studies presented Improving Scientific Innovation: A data Science Perspective. Without tools, no scientist can keep up with new research trends and funding efforts. In this talk, he will show how he creates new kinds of tools to substantially accelerate linking publications and grants. Also, he will highlight how artificial intelligence and big data make this possible and how the University’s Research Computing infrastructure and the iSchool are supporting these new efforts. Daniel Acuna is a recent addition to the iSchool faculty. During his graduate studies, he was part of the Center for Cognitive Sciences in the Department of Psychology and received a NIH Neuro-physical-computational Sciences (NPCS) Graduate Training Fellowship from the Department of Neuroscience. He additionally received the support of a CONICYT-World Bank fellowship and a travel award from the Neural Information Processing Systems (NIPS) 2008 conference. 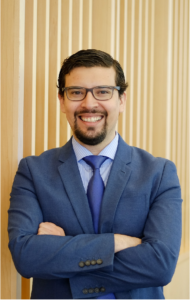 During his postdoctoral studies at the Rehabilitation Institute of Chicago and Northwestern University, Dr. Acuna gave multiple invited plenary talks and was interviewed by Nature Podcast, The Chronicle of Higher Education, NPR Science Friday, and The Scientist. Amazon AWS and Microsoft Azure have generously supported his big data analytics work with three academic computational credit awards. Dr. Acuna received his Ph.D. in Computer Science from the University of Minnesota, Twin Cities. Shikha Nangia, Assistant Professor Biomedical and Chemical Engineering presented Breaking Through the Blood-Brain Barrier. Although discovered more than 100 years ago, the blood-brain barrier (BBB) remains an unresolved scientific challenge. It is widely accepted that the blood-brain barrier is the brain’s security system that allows entry of essential nutrients while blocking potentially harmful substances. The selectivity of the BBB is critical in maintaining the homeostasis of central nervous system, yet the BBB is a major hurdle in treating neurodegenerative diseases, such as Alzheimer’s and Parkinson’s. Specialized physical barrier called “tight junctions” present between adjacent endothelial cells act as molecular gatekeepers in regulating paracellular traffic at the blood-brain interface. Understanding the molecular basis of the tight junction selectivity has been difficult using experimental methods. In my research group, we are characterizing molecular interactions responsible for the tight junction assembly using multiscale molecular dynamics. The molecular insights from this research have propelled us a step forward towards solving the blood-brain barrier puzzle, and consequently are aiding in designing novel therapeutics to treat the brain-related ailments. 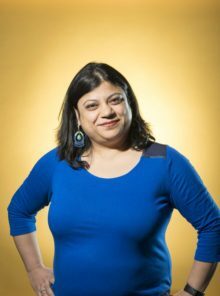 Shikha Nangia is an assistant professor of Biomedical and Chemical Engineering in the College of Engineering and Computer Science. She leads an active research group with focus on computational modeling of complex biological interfaces including, the blood-brain barrier, cancer drug delivery, bacterial membranes, antimicrobial peptides, and self-assembled materials. Her group’s use of University computing resources enables insights that propel us forward towards solving the blood-brain barrier puzzle, and consequently are aiding in designing novel therapeutics to treat the brain-related ailments.